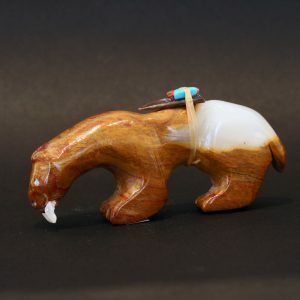 Messenger bear fetish carving hewn from Zuni rock by Hayes Leekya. Messenger bear whispers to the bird who carries his message to the creator. 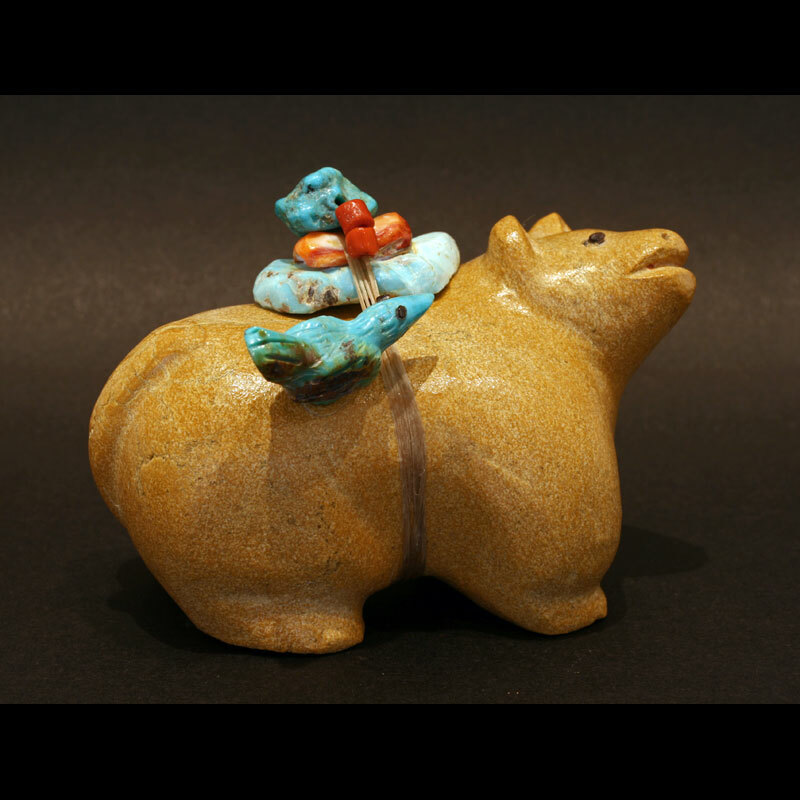 Messenger Bear is protected by an arrowhead and offerings of turquoise, coral and shell. Messenger Bear measures 9cm from nose to rump and 6cm in height. 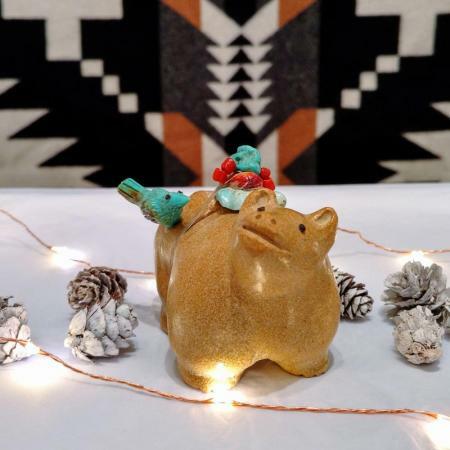 Messenger bear fetish carving hewn from Zuni rock by Hayes Leekya. 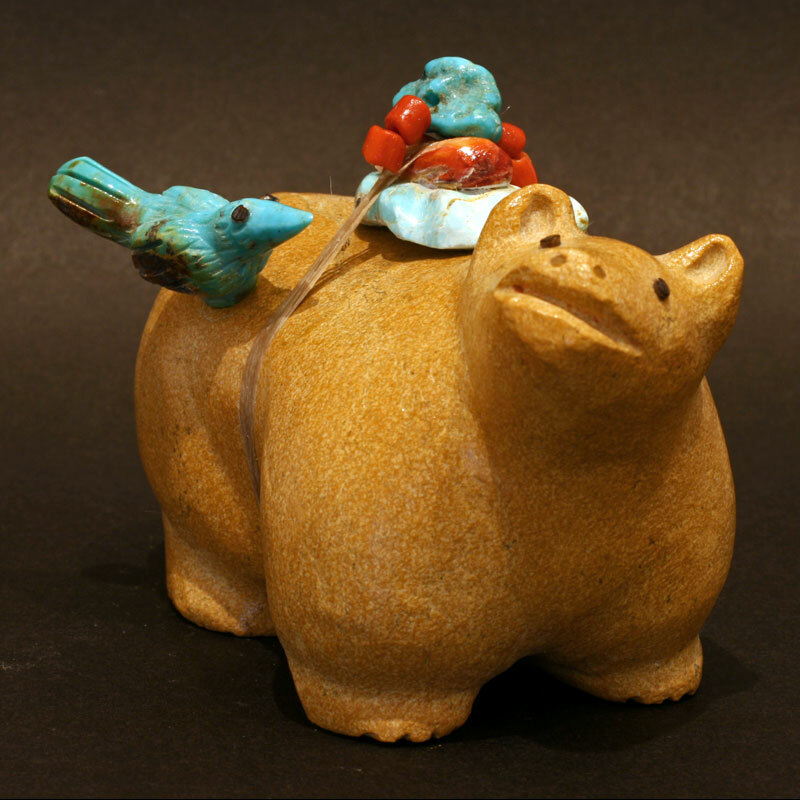 Messenger bear whispers to the turquoise bird who carries his message to the creator. Messenger Bear is protected by an arrowhead and offerings of turquoise, coral and shell. Messenger Bear measures 9cm from nose to rump and 6cm in height. 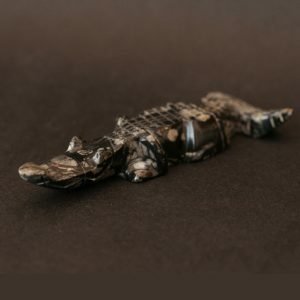 Today many Zunis make their living carving fetishes that are also exquisite works of art in their own right. 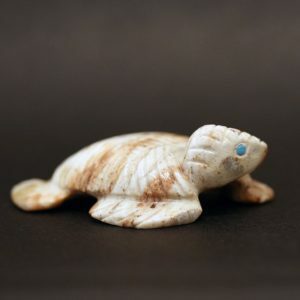 Certain families and individuals are highly regarded in the tribe for their fetish carvings and their pieces are particularly are sought after by collectors. The Leekya family are known for their distinctive old style fetishes.